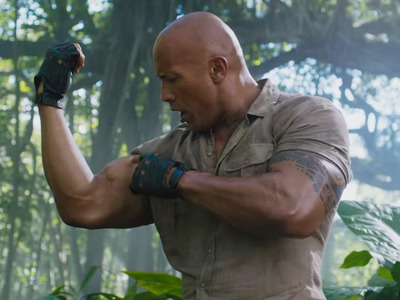 But the joke’s on the internet critics: The movie, powered by Dwayne Johnson and Kevin Hart, earned close to $US1 billion globally at the box office. The film’s director, Jake Kasdan, explained to Business Insider how he pulled off one of the biggest surprise hits in recent memory. Twenty years after the 1995 hit movie – which starred Robin Williams as a man who, after decades of being trapped inside a magical board game, is finally released to complete it with two kids – Sony announced in 2015 that it was going to dust off the property and reboot it. “It was like, ‘You’re ruining my childhood! '” Jake Kasdan, the director of “Jumanji: Welcome to the Jungle,” recalled when Business Insider asked whether he was aware of the backlash. Not too happy that Sony are doing a "Jumanji" reboot, nothing will compare to the original with Robin Williams! Noooooo @SonyPictures DO NOT "remake" #Jumanji!!! At least a prequel or a sequel dedicated to #RobinWilliams ????
. @SonyPictures rebooting Jumanji? For the love of god, please spare us and don't embarrass yourself by ruining that classic. And things didn’t get any better for the movie when, after the screenwriter Chris McKenna (“Spider-Man: Homecoming”) was tasked with coming up with a new take on the movie, three more screenwriters came on board to give it a crack. The release date was also changed three times, eventually settling on December 20, the Wednesday after “Star Wars: The Last Jedi” would hit theatres. 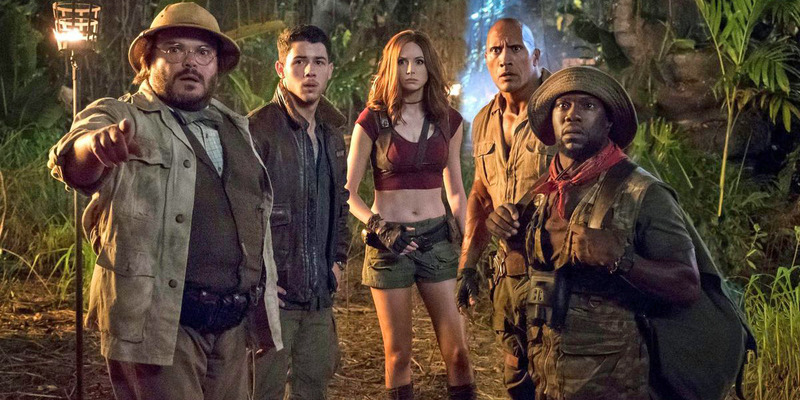 But in one of the most miraculous turnarounds for a movie in recent memory, “Jumanji: Welcome to the Jungle” didn’t just hold its own against “The Last Jedi” in December (finishing in second place for the last week and a half of the year), it knocked the latest “Star Wars” movie off the top spot and went on an incredible three-week streak of topping the weekend domestic box office in January. The movie went on to earn over $US939 million worldwide, and over $US400 million in North America – the second-best domestic performance ever for a Sony movie (just below the $US403.7 million made by 2002’s “Spider-Man”). All this came from just a $US90 million budget. And no one is more surprised by the movie’s global success than Kasdan. Known for R-rated comedies like “Walk Hard: The Dewey Cox Story” and “Bad Teacher,” Kasdan came out of nowhere to prove he could helm a PG-13 action-comedy with major stars like Dwayne Johnson, Kevin Hart, Jack Black, Karen Gillan, and Nick Jonas. What the haters online didn’t know was that Kasdan and the screenwriters McKenna,Erik Sommers, Scott Rosenberg, and Jeff Pinkner all contributed to what can only be described as a unicorn in the movie business – a reboot that feels new while also paying homage to the original. The major adjustment done for the “Jumanji” sequel was shifting the board-game element to better reflect the present gaming world. At the end of the original “Jumanji,” the two main characters toss the game into a river. The sequel starts years later in 1996, with the game being found on a beach. The boy who is given it ignores what he sees as a lame board game, so the game magically morphs into a more attractive video game, sucking him into it. Years later, more kids are sucked in and become avatars played by Johnson, Hart, Black, and Gillan. 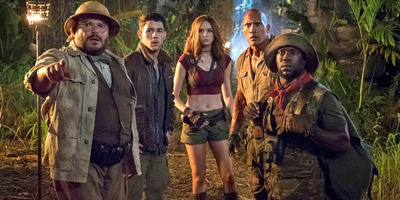 That element opened incredible possibilities for the sequel’s story, as it not only could bring the Jumanji game to life but also could deliver all types of gaming aspects to the movie – from the characters’ three game “lives” apiece to the jokes about their avatar’s strengths and weaknesses. Kasdan said this was all pulled off not by one single screenwriter who finally figured out how to crack the story but by collectively using all of them, like a TV writers’ room. And the rest is history. The movie made just under $US1 billion globally at the box office and solidified the star status of Dwayne Johnson and Kevin Hart. And Kasdan is still trying to take it all in. But now it’s back to the drawing board for a sequel. Kasdan, Rosenberg, and Pinkner are all set to return, along with the lead cast. But can a sequel that was praised for having its own identity pull off a successful encore? Can the video game storyline be used again? Is it right to bring back the same cast?